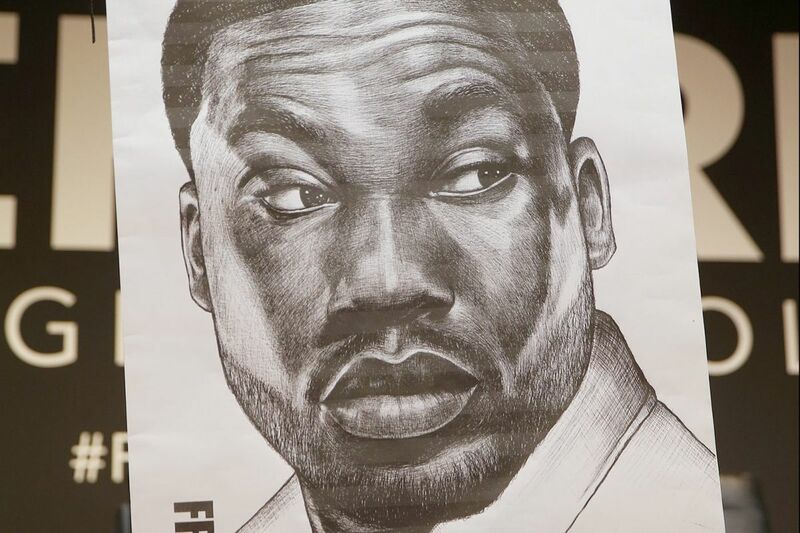 Once Meek Mill's prison sentence is up, the rapper says he plans to leave the City of Brotherly Love for the Empire City of the South. Mill, 30, discussed a potential move to Atlanta in a new interview with Rolling Stone — his first jailhouse interview since Judge Genece Brinkley sentenced him to two to four years in jail in November for probation violations. In the wide-ranging talk, Mill discusses his thoughts on corruption in the criminal justice system, as well as his non-Philly future. "There's brothers locked down that did nothing to be here but piss off people like Brinkley. I want to speak on this system and what it does to black people — on both f— sides of the fence," Mill said. "Trust me, I'm gonna say something about that. And then, I'm gonna move to Atlanta." Brinkley previously sent Mill to prison on gun and drug convictions about a decade ago. In the time since, she has ordered him back to jail twice for violating the terms of his probation; once in July 2014, and again last year. As an anonymous Philadelphia attorney told Rolling Stone, Brinkley's treatment of Mill is not out of the ordinary for her. "She's a sadist," the unnamed attorney said. "She puts long-tail probations on young black men, then jerks them back to jail for small infractions." Mill, however, could get out of prison before his two-to-four-year sentence is up. As District Attorney Larry Krasner's office said in a motion filed in Common Please Court, "there is a strong showing of likelihood of [Mill's] conviction being reversed" following allegations that the rapper was convicted in 2008 on false testimony from arresting officer Reginald V. Graham. Graham was included on a recently released list of "tainted" police officers deemed unfit to give testimony in court by the District Attorney's Office. "In the event [Mill's] conviction is reversed … the risk of an unjust or disproportionate sentence having been served exists," the motion reads. "That risk increases as long as [Mill] remains in custody." However, as an Inquirer report notes, Mill's "freedom is by no means assured," as the decision whether to release him is up to Brinkley. Mill's mother, Kathy Williams, 55, meanwhile, pleaded for her son's release from prison at an event at the University of Pennsylvania in support of the rapper on Wednesday. "I pray that God gives Judge Brinkley the wisdom to make the right decision and allow my son to return home to his family," Williams said.